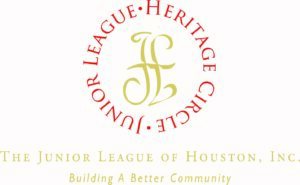 Planned Giving: Heritage Circle | The Junior League of Houston, Inc. The Junior League Heritage Circle honors individuals who support the League by including the Junior League of Houston as a beneficiary in their estate and/or financial plans. When you make a planned gift to the League, it represents a deep personal commitment to the continued success of the League’s mission. While these gifts often honor or memorialize loved ones, they also provide an investment in the League’s future and leave a lasting legacy for the future membership of the League and the community. The Heritage Circle was created to acknowledge those generous individuals who have made a planned gift to the League. Donors are honored as lifetime members and will be recognized in the Annual Report and in other publications or meetings as appropriate. For more information about becoming a member of the Junior League Heritage Circle, please contact the development office at 713.871.6625 or development@jlh.org. To download the Junior League Heritage Circle membership form, please click here.